The Dynamic Duo and the Riverdale gang team up! 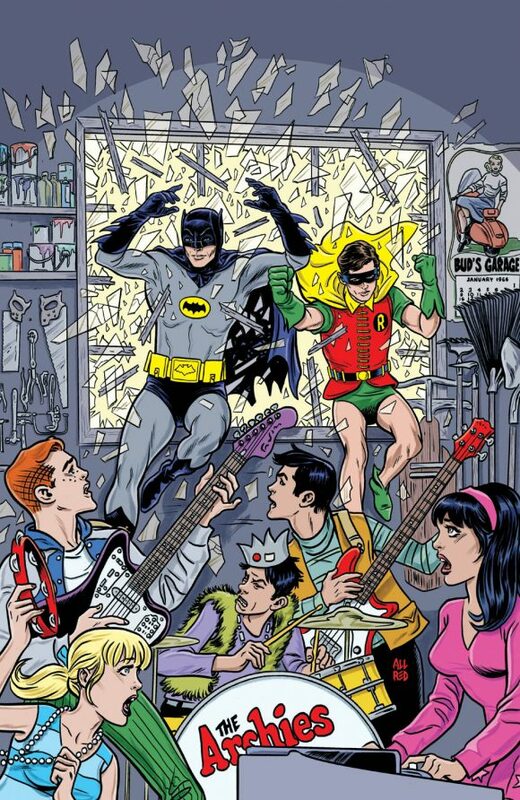 This just in from SyFy Wire, folks: The long-rumored Batman ’66/Archie crossover miniseries will hit this July. Click here for all the info. Cool, right? But there’s more where that came from! Click here for an EXCLUSIVE LOOK at two of the groovy variant covers — by Francesco Francavilla and Sandy Jarrell (with Kelly Fitzpatrick). Issue #1 hits July 18. At ECCC 2018, Mike Allred confirmed this to me – said he was working on the covers.